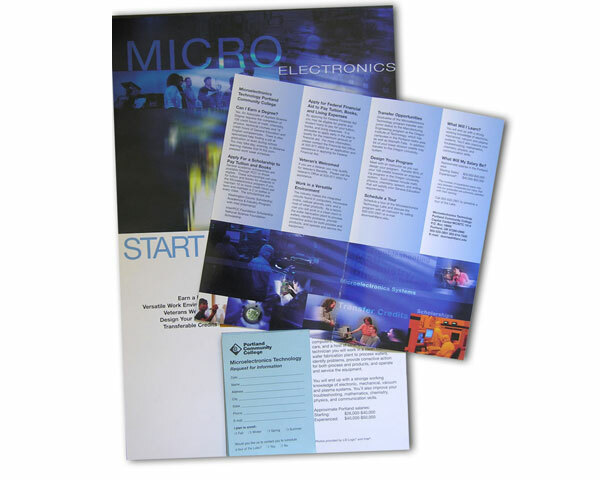 I helped design print collateral for the Microelectronics department at Portland Community College. To meet the needs of the students requesting information, I designed a poster with pad affixed to it so students could take an information sheet about the program. I also designed the department’s 4-panel brochure used as both a handout and a mailer.